In our currently ever-growing list of VPN services we decided to test, it is time to focus our undivided attention on another service that has been publicly audited and who claims that they embrace a no-logging policy. Its name is VyprVPN and what caught our attention besides those two traits enunciated above you will get to read in this review. As usual, we will do a little background snooping, tell you what’s what, test its services and bring the results to you on a silver platter. Sounds good? Let’s begin. We couldn’t skip this part since we’re always trying to provide you with information that covers a wide range of details and thus doing a little detective work is crucial to our objectives. The name of the company behind VyprVPN is Golden Frog, they claim themselves to be “Internet veterans who actively advocate for a free and open Internet,” according to their website. Their headquarters is situated in Meggen, Switzerland. The chain of events that led to the founding of VyprVPN begun as a response to the infamous Room 641a, the very room in San Francisco where the NSA was conducting surveillance on AT&T’s networks. Papers were filed to the FCC in order to bring this surveillance to their attention but were supposedly ignored. As a response to the lack of reply from the government, Golden Frog was born, as a solution to protect Internet users, and various tools were developed to preserve the Internet experience as open and as secure as possible, while also providing users with privacy protection. As specified before, Golden Frog GmbH is located in Switzerland, and for a good reason too. Switzerland has some favorable privacy laws which match the Golden Frog’s objectives and also protect Internet users’ rights extensively. As a matter of fact, Switzerland goes way back with privacy protection laws and even established a legal framework in order to keep privacy as secure as possible. More so, Article 13 of the Swiss Federal Constitution guarantees the right to privacy. The Swiss Federal Data Protection Act (DPA) and the Swiss Federal Data Protection Ordinance (DPO) also guarantee privacy protection for activities that are performed online. Unlike many other countries’ legislation regarding data protection, the DPA guarantees personal data privacy protection for both “legal entities” and “natural persons”. You’d think things stop here, but they don’t: in 2010, the Federal Supreme Court of Switzerland ruled that IP addresses are to be considered personal information and they may not be used to track online activities without the individuals involved knowing about it beforehand. Global frameworks were established by Switzerland, as well as safe harbors with the United States, European Union, and other countries as well. This makes sure that privacy protection is guaranteed beyond its borders, as well. 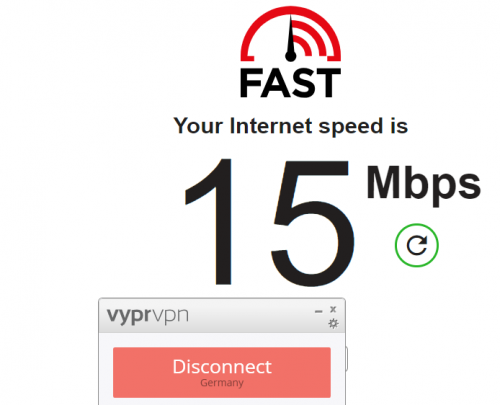 From the beginning they let you know that their company and service (respectively Golden Frog GmbH and VyprVPN) are boasting a zero log policy and that, although they do log a few details about you, they won’t affect your privacy and won’t be shared amongst parties that are not specified in the policy. Many of you know about the personal data that you’re comfortable to share with VPN service providers, such as your name, address, email address and billing information, but are more interested in VPN usage data such as your online activity. Well, first thing first, hiring a team of security experts to audit your service shows that you have nothing to hide regarding the quality of the services you provide and that if anything wrong is found, you are more than willing to fix it. The company that made VyprVPN’s audit is Leviathan Security Group Incorporated. They focused on various security traits to prove or disprove the claims of VyprVPN’s zero-log policy. As one would expect, the service wasn’t entirely airtight and some issues were identified, some of them more severe than the others. However, ultimately, the company made efforts to fix them, so that they don’t jeopardize their users’ privacy and online security. Long story short: the VPN provider had some issues but they were solved in the meantime. Other findings and trends were also included in the report but were deemed to be not dangerous to the service’s users, as critical information was kept private, and the bits that weren’t entirely secure can’t be used to uncover the online identity of users. Nowadays, the media’s focus has shifted dramatically to online privacy scandals, leaks, you name it. Every news publication has at least one such article regarding leaked emails, disclosed identities, activity logs or other types of compromising content. Although no VPN service provider promotes illegal activities such as piracy or accessing forbidden online contents, there’s still a huge variety of things you could do online that are far from being illegal, but you still want to keep hidden from prying eyes. Therefore, many companies seek to achieve a resource that’s of the utmost importance, more precious than money, more significant than a huge client database: trust. By performing actions such as turning their whole operation transparent through security audits or publicly denying various law enforcement agencies the access to users’ VPN-related activity they gain significant amounts of trust. And that’s what keeps them going. As its name strongly suggests, VyprVPN is a VPN provider, which involves that its services are meant to keep your online identity hidden from intrusive eyes while also increasing the security of your current connection as well as the variety of contents you can access on the Internet. A few words about this provider is that it has been independently audited by a third-party security company, the company owns and manages their own VPN servers (as opposed to renting ones from other providers) and offer apps for a wide range of devices. Furthermore, they cover six continents with their server network, don’t impose download caps, provide you with multiple encryption protocols, pack the VyprDNS service, include a NAT firewall for extra security and have a 24x7x365 support team at your disposal. 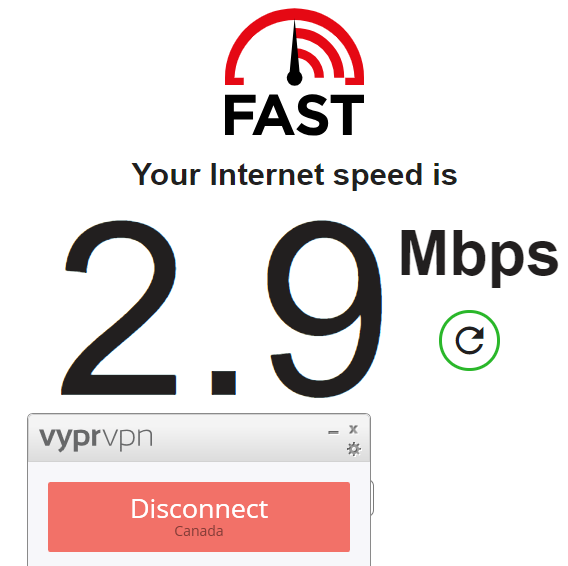 VyprVPN can enhance the security and privacy of your connection by providing you with support for multiple protocols. Those include PPTP, L2TP/IPsec, OpenVPN as well as Chameleon. PPTP is easy to set up, fast and simple to use, being a good alternative in case your device doesn’t have OpenVPN support. The L2TP/IPsec protocol is supported by various desktop, tablet, and phone devices and is also a good security-focused alternative in case OpenVPN is not supported in the first place. OpenVPN is the highest performance protocol that’s recommended for various operating systems such as Windows, Mac OS X, and Linux. Last, but not least, Chameleon is a proprietary protocol that uses the unmodified OpenVPN 256-bit protocol, scrambles and spoofs metadata, thus preventing VPN blocking, throttling and DPI. Nowadays it’s not enough to just offer your customers the vanilla experience, although some of them prefer just that. This is the main reason several VPN providers choose to invest in developing unique features that users can benefit from. 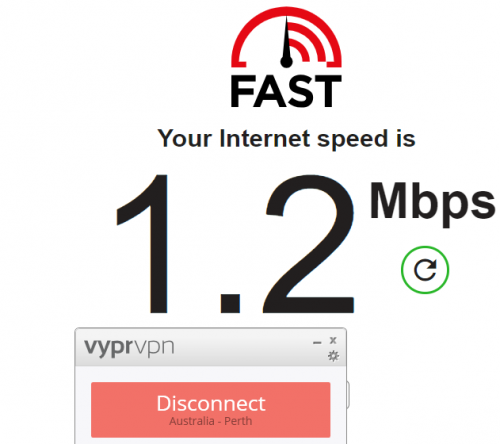 VyprVPN has some aces up its sleeve, as well. Some of them include the Chameleon protocol described above, a zero-knowledge DNS service (VyprDNS) and a way of defeating throttling and bypassing network congestion. The principle behind the last feature is that all the traffic from your devices that your ISP sees is entirely encrypted, so throttling based on the contents you access is no longer an issue. 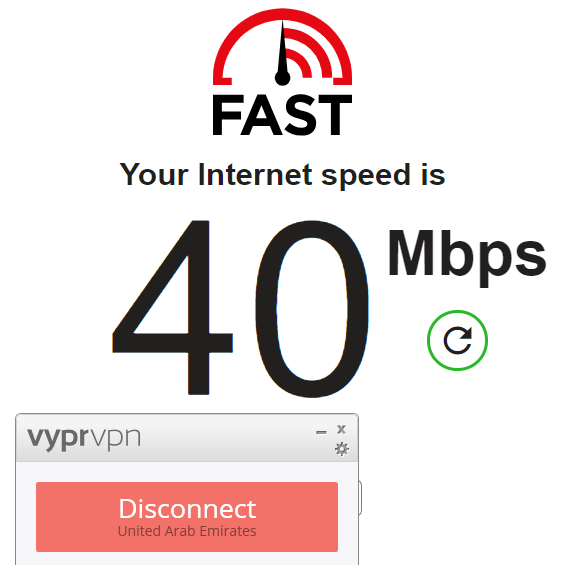 The network you’re connected to when using VyprVPN is also helping you bypass ISP congested networks when trying to stream contents on various sites such as YouTube, Netflix, Hulu, and others. VyprVPN lets you access its services from a rich selection of devices. The list includes Windows devices, Android devices, routers, Mac OS devices, iOS devices, QNAP devices, Blackphone, TVs, and Anonabox. The supported platforms include DD-WRT, OpenWRT, ASUSWRT, Boxee, Synology NAS, and Blackberry. However, the maximum number of devices you can use on the same VPN connection/subscription plan is limited to either three or five, depending on the subscription plan you decided to use. 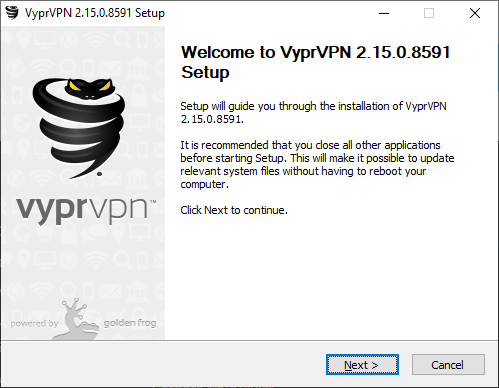 Fetching the VyprVPN installation packages on your favorite devices can be accomplished without too many efforts. All you have to do is navigate to their website and, while you’re there, purchase a subscription plan from here and then scroll to the top of the page and access the “VPN Apps” category. Clicking any of those buttons will bring you closer to getting the installation package. This means that the content won’t be downloaded directly, but you will be taken to another page where a large “Download VyprVPN for…(depending on your device)” button is visible. Clicking it starts the download process. 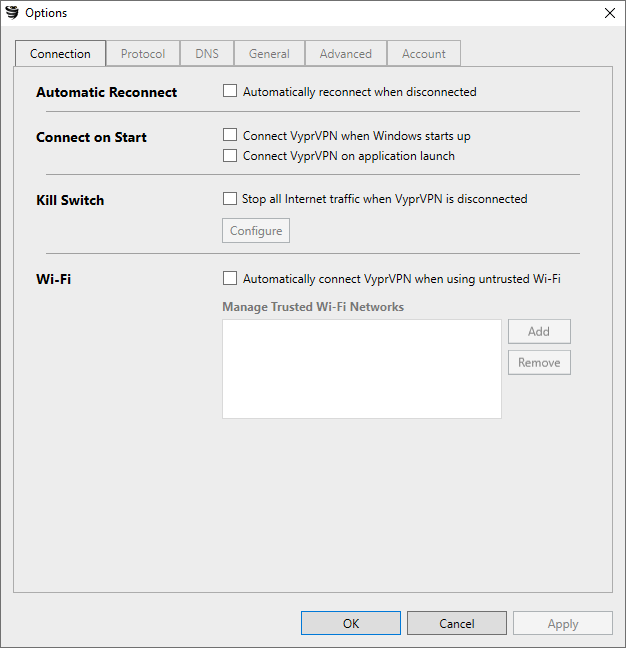 If you scroll down, even more, you’ll also be able to access a bunch of tutorials on how to configure VyprVPN for other platforms, such as DD-WRT, OpenWRT, ASUSWRT, Boxee, Synology NAS, and Blackberry. And by machine, we mean your Windows computer, whether laptop, notebook or desktop. It’s not that we didn’t like the other devices available in the list above, but we can agree that using this type of service is more common among Windows users, desktop Windows users, to be more specific. Installing it on other devices might not be complicated, but sometimes the setup process can get very specific and make you take some steps that Windows lets you skip by performing the said operations for you. The version we’re going to install on our computer is 2.15.0.8591. The actual installation process doesn’t take long and could be successfully accomplished by virtually any computer user, regardless of overall computer skills or previous experience with similar software. All you have to do during the setup is accepting the End User License Agreement (EULA), deciding whether or not desktop and start menu shortcuts should be created, choosing a destination path for the files to be deployed to and following the on-screen instructions provided to you by the wizard interface. 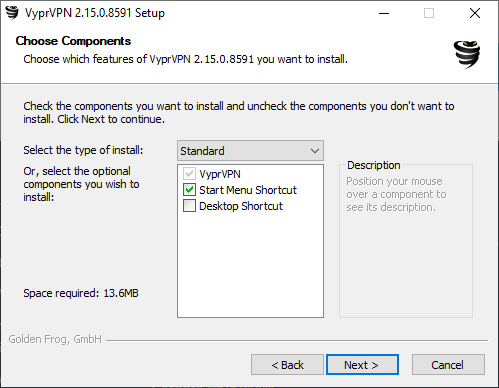 It is possible that, if you lack certain drivers needed for the application to run, you can be prompted to install them on the spot. Just proceed with the installation and accept the pre-requisites, since lacking them often leads to the main app not working as intended or at all. Okay, so we installed the VPN on our computer, what’s next? We also have to use it and decide whether or not it’s friendly enough that even novices could get it up and running without breaking a sweat. Once you launch the app, you’ll be prompted to type your credentials in the dedicated fields in order to be able to access the application’s main window. You’ll quickly notice that the main window consists of several bits of information that let you know your connection status, public IP address, the time you’ve been connected to the service, protocol and encryption type you’re using and the status of the NAT firewall. Also, there’s a graph beneath the large “Connect” button that lets you know about your current download and upload speed values, as well as plotting this data in a live chart. 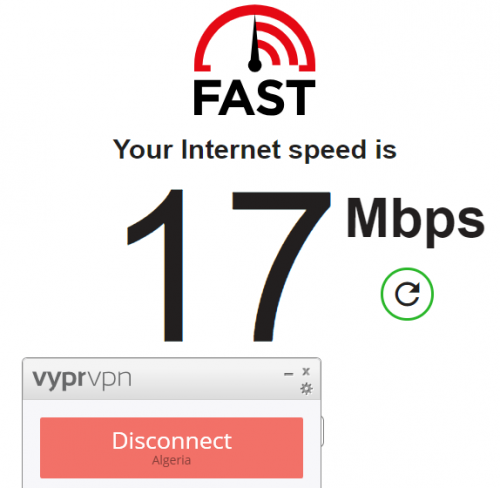 If you’re not one that gives too much thought to visually-appealing elements, you might overlook the fact that VyprVPN’s interface is not exactly what you’d call stunning, but it’s simplicity intertwines with its efficiency in order to provide you with quick, intuitive access to its controls. 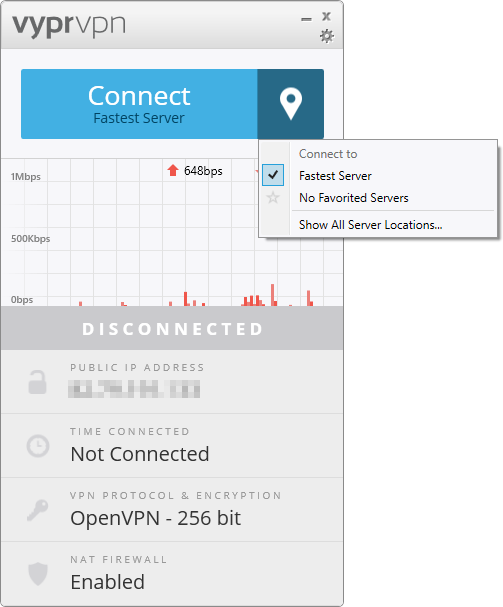 The main window lets you connect to the fastest server based on your current location, but pressing the pin button lets you choose between the fastest server available or a server from your list of favorites and also open a new window that has all the available servers VyprVPN has to offer. You can also click the gear-shaped button at the top of the main window if you want to access some of the app’s additional menus and the configuration window, where you can tamper with the program’s settings as you wish. As specified above, clicking the gear-shaped button lets you access the configuration section of the application. You just have to click on “Options” from the context menu and the “Options” window will be spawned. You’ll notice, for sure, that this window has several categories you can easily switch between. These include “Connection,” “Protocol,” “DNS,” “General,” “Advanced” and “Account.” Navigating through them can be easily done by simply clicking the one you’re interested in. 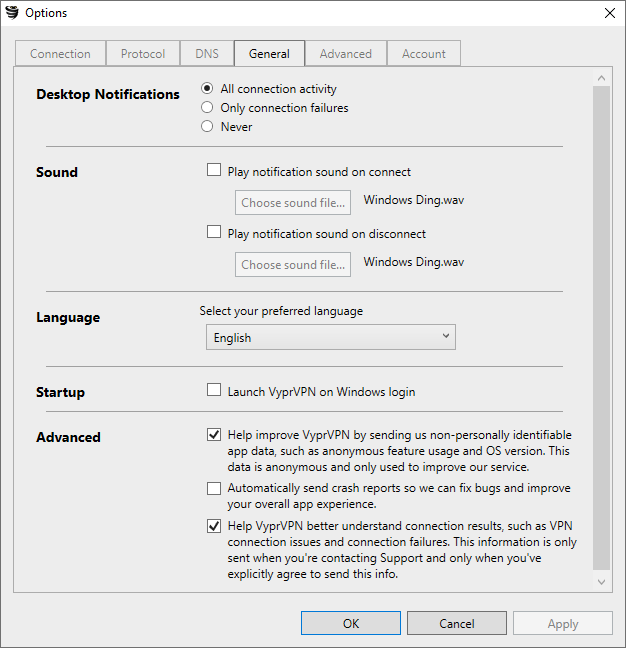 Although it might not feel like much, it is possible to modify some of the applications’ settings and the way you can do this is usually very simple for VyprVPN, except for some more advanced sections. The “Connection” tab lets you enable automatic reconnecting the VPN upon disconnection, toggling the “Connect on Start” feature that can be set to connect to a VPN server when Windows starts or when the app is launched, enabling the Kill Switch and connecting to VPN when using untrusted Wi-Fi connections. The Kill Switch is there to stop all the Internet traffic whenever VyprVPN is disconnected. This feature can be extremely useful especially when torrenting since most torrent clients immediately look for the next available route instead of severing the connection when VPN service is lost. As mentioned above, you can choose from four different protocols, one of which is proprietary to VyprVPN. But some of them, namely Chameleon and OpenVPN can be further customized in terms of choosing the ports they use and choosing the encryption level. If you’re unsure about these settings, it’s best to leave them unaltered. The “DNS” section enables you to choose between using VyprVPN’s proprietary DNS service, which is conveniently called VyprDNS, or turn to third-party DNS providers, as well as enable or disable the DNS leak prevention feature. In this same section, you’ll be able to read a brief description of what DNS generally does and how VyprDNS can help you boost your protection. General settings cover things such as desktop notifications, sound, language, startup options and options related to sending usage data, crash reports and connection issues or failure reports. The last three settings can be disabled altogether if you’re not comfortable with Golden Frog receiving this type of data. Although some of the sections above might’ve had a bunch of technical options, they weren’t part of the really advanced parameters you can toy with. That’s why the first thing you’re able to see after navigating to the “Advanced” tab is a big, in-your-face warning. This notification advises you against modifying the settings if you’re not sure about what you’re doing and lets you know that for most users the default settings are perfectly fine. It also says that settings should not be changed unless directed by the support team. However, if you’re sure about tampering with them, here’s a brief description of what’s going on in that forbidden menu. 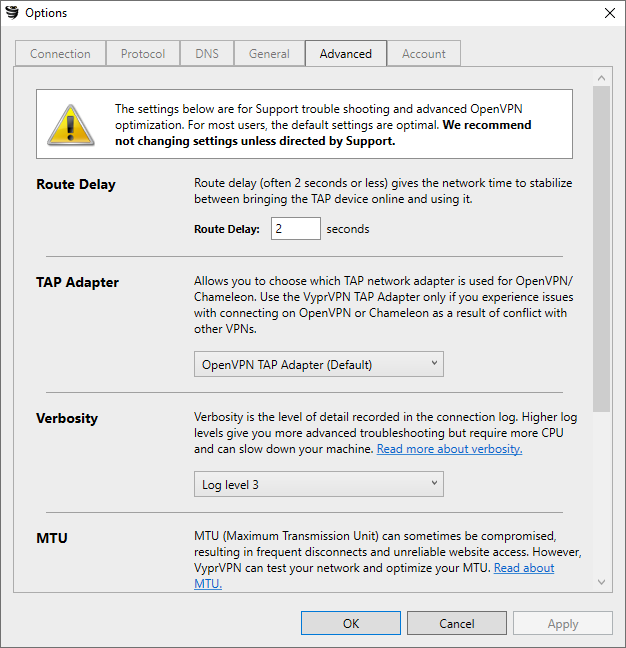 It is possible to modify the router delay period (in seconds), change the default TAP adapter, choose another verbosity level, alter the MTU (Maximum Transmission Unit) value, change the TLS Timeout period and also, if you feel like you messed things up, restore the settings to their default value. Last, but not least, you could access the “Account” section in the same “Options” window if you want to see some account-related data such as your account type and username, and also check for updates, enable beta updates, see the version of the app and log out of your account. And that concludes the extensive description of the “Options” window. As usual, we’re going to provide you with a complete list of the servers that you can connect to from this VPN provider. The thing about VyprVPN’s servers that makes them different is that they are organized in clusters and provide you (as we speak) with more than seven hundred (700) servers and over two hundred thousand (200,000) IP addresses, dynamic server switching and no third parties involved. More so, if you’re interested in digging deeper, they also provide you with a list of addresses for their servers. The purpose of the above list is to help users who are located in China or other countries that have VPN restrictions. Users located in such countries are advised to use the IP addresses instead of using the hostnames. 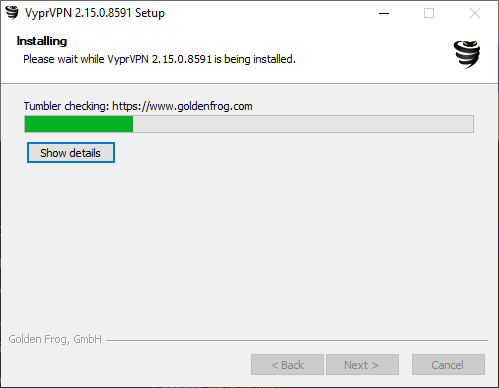 Another important mention is that the VyprVPN IP addresses might sometime change and for users outside the countries above, it is wiser to use hostnames instead of IP addresses unless the Golden Frog support team instructs them otherwise. Sometimes, some country might limit access to various services, from political, religious or social reasons. This can include social media services, multimedia content providers, news websites and entertainment platforms. If you’re in the situation depicted above, VyprVPN can help you bypass this geographical limitation and unlock the contents you want to access without significant efforts. Usually, all you have to do is connect to a country that doesn’t restrict the service you’re trying to use and you’re all set! 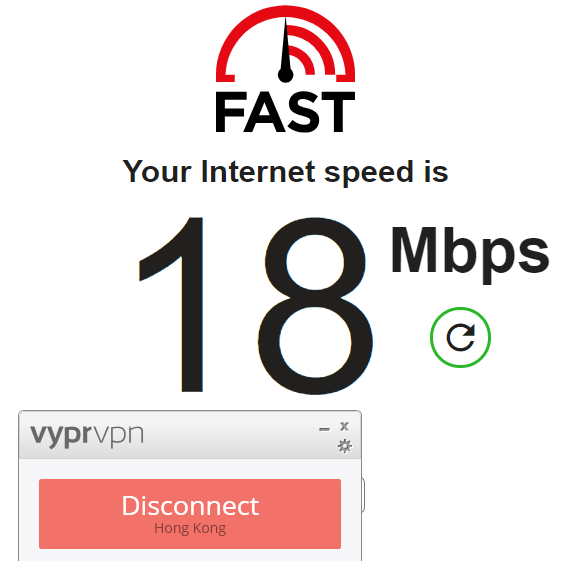 Even more, you can use VyprVPN to save money on travel, make business operations in a secure environment and play games with your friends in other countries without the geographical-specific lag. Some examples of contents that can be unlocked by this service are Facebook, Twitter, Netflix, Hulu, Spotify, Deezer, various Google services that are otherwise not available, Telegram, Kik, Snapchat, Amazon Prime, Twitch, eBay, AliExpress and GearBest. Alright, fun’s over; now we need to get our tools out and get them ready to perform a series of tests to decide for ourselves whether VyprVPN’s services are capable of keeping your connection secure, while also providing you with high speeds. That’s right, security and speed are the two most important parameters we’re analyzing, specifically in that order, since if your connection is not a hundred percent airtight, then your online privacy is compromised, and your security is in the gutter as well. And if your connection isn’t secure, speed doesn’t really matter, since the whole purpose of using a VPN is to keep some things private and secure. If you don’t care about those, you can keep using your default, non-secure connection just as well. 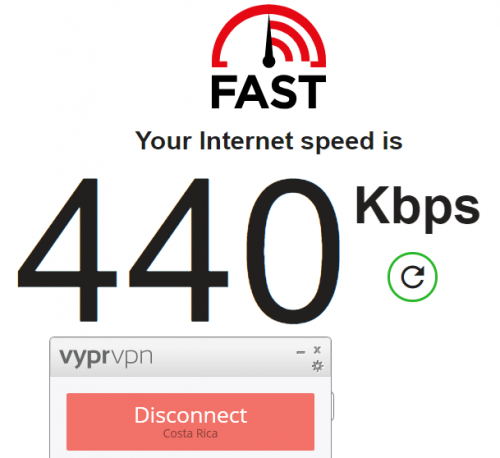 The tools we use in this testing process are the IPX website to determine whether the connection is crackproof and Netflix’s fast.com website to determine just how fast your connection is. 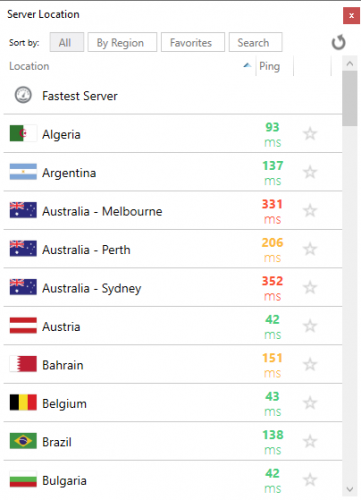 We’ve been using these tools with every other VPN service we tested, so the results we get for various services could be compared fair and square. We won’t keep you waiting, if you want to check the results for yourself and skip our analysis, you can view them by accessing this URL. Our IP address was successfully spoofed, our location along with its related details (country, city, longitude, latitude, ASN, ISP, domain name and IP type) was changed to match the server’s and the IPv6 geolocation data was not displayed at all. So far so good. Security-wise, VyprVPN is as secure as it can get. Nothing crucial to our security and privacy escaped through VPN cracks and the tests revealed just that. 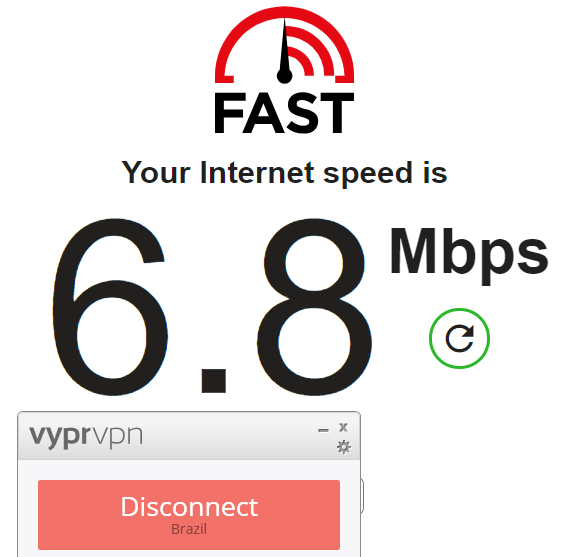 Speed wise, we tried to connect to several servers so that we can form a fair, unbiased picture on the speed values advocated by VyprVPN. While the speeds are not spectacular, many of the regions we’ve previously experienced as being “slow” have proved to be faster than the average, while others that we’ve found to be generally “fast” have ranked pretty low. 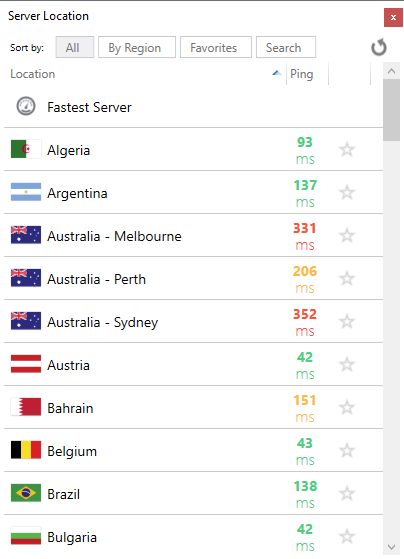 However, the real issue we’ve had with this VPN speed-wise is that it often took a lot of time (compared to other providers) whenever connecting to a server, regardless of its location. In case you encounter some difficulties in operating the application or downloading the program on your device, or you simply can’t seem to install it successfully, you can head to the “Help Center” and either browse the topics that are already posted there or perform a search with the terms you’re interested in. If the Help Center isn’t enough for you, you can contact the support team by either submitting a ticket (you need to fill the fields of a form) or use their live chat. The live chat requires you to specify your name, email address, the product you’re seeking support for and type a question in the designated field. Customer-support-wise, VyprVPN really has you covered, no matter how you want to contact them. Last, but not least, we get to talk about VyprVPN’s subscription plans. First thing first, they offer a three-day trial that you can test and see if their services fit your needs and if you’re satisfied with them altogether. But here’s the trick: in order to receive that three-day trial, you need to create an account and give them a bunch of details about yourself, including payment details. If you’re satisfied after the three-day trial, you’ll get billed for the whole subscription plan you chose. If you cancel, no fee is required. VyprVPN premium: 5$/month first year instead of 6.67/month billed yearly. This plan covers five devices, includes the Chameleon protocol and comes with a VyprVPN cloud. This plan is billed 60$ first year and 80$ starting the year after. Unfortunately, unlike other similar services, VyprVPN doesn’t include a money-back guarantee, so you’ll have to decide whether its services are good enough for you in the three-day trial they offer. Aside from its standard VPN capabilities, VyprVPN also provides you with a solution in case you’re running a business (or are part of one) and need a safe, secure environment to perform various operations in. The two additional components that are available for you to use in the situation depicted above are VyprVPN for Business and VyprVPN for Business Cloud. But what exactly are they and how can they help you? According to their website, VyprVPN for Business is a tool that can help you secure business-related communications so that everything you do inside the VPN bubble is kept a secret from prying eyes. It offers multiple user management, global business servers, and a dedicated account manager. You can get a free trial by submitting a request form and if you decide to use it further, it’ll cost you 299$ per year. The second solution for protecting your business is VyprVPN for Business Cloud, which can enable you to “take control of your network” by providing you with a dedicated IP address, a personal, dedicated server that you can use as well as “fast and easy deployment.” As before, you can request a trial and if you want to keep on using it, you need to pay 349$ per year. To wrap things up, VyprVPN proved to be a trustworthy service that yielded great results in our security and speed tests. It offers two plans, one that’s a bit cheaper but doesn’t come with as many benefits and one that’s slightly more expensive, but it has you 100% covered. It provides you with extensive customer support, ranging from topics on a web page to live chat with a specialized crew and boasts a no-logging policy. It has been publicly audited and the results have been made available to the wide public. VyprVPN receives a 3.71/5 rating.